Home is where the heart is, and Greek Gear is where the best Pi Kappa Alpha Blankets, Pillows and Home Goods can be found. Make us your homepage when it's time to do some shopping. 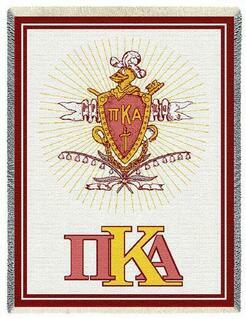 If you're a proud mom shopping for her Pi Kappa Alpha son, help him decorate his dorm room with an Afghan Blanket Throw (two styles are available). No matter how small or plain his room may be, this decorative afghan will make it look like a million bucks. The Pike coat of arms fills the center of this beautiful woven blanket, and you're offered an option to add the giftee's name for an added fee. The Flag Giant Velveteen Blanket is popular because it has a variety of uses in the household. You can use it as a blanket for your bed, keep it folded up on the couch where you lounge or use it as a cover for a table. The Sweatshirt Blanket is also popular because it's easy to roll up and take with you to the beach or park for a picnic. 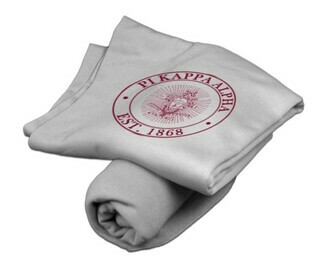 Fill your dorm room with colorful reminders of your membership in Pi Kappa Alpha with Blankets, Pillows and Home Goods from Greek Gear. Press the "Shop Now" button for additional merchandise. 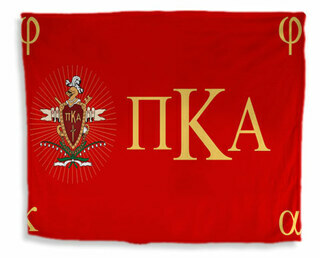 Pi Kappa Alpha Blankets, Pillows & Home GoodsThe Greatest Selection. Period.